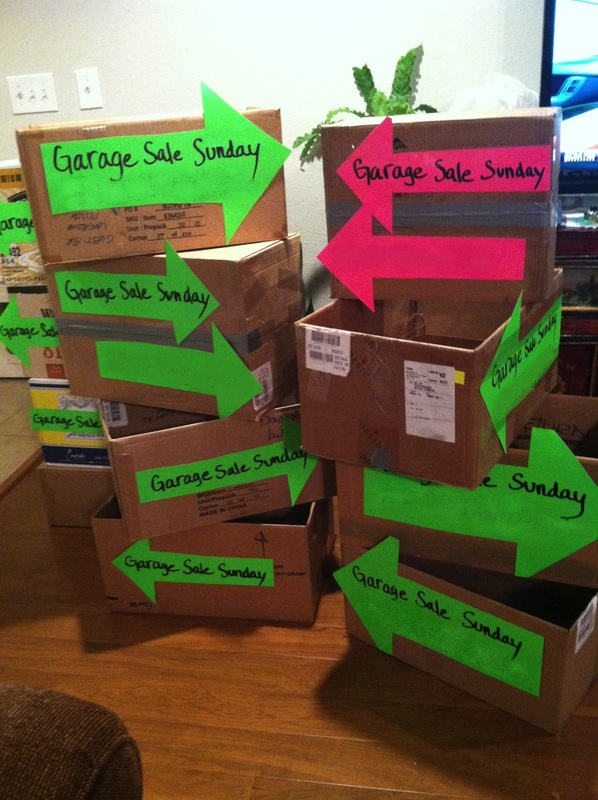 BEST TIME – Saturday is hands -down the best day for garage sales. Sunday sales typically have a lower attendance, so make sure you advertise a little more if that’s the only day you can do it. Plan to start early, say 7am, and go until at least 1pm. And if you can combine with friends or neighbors, even better! Multi-family sales are a big draw. CRAIGSLIST AD – Post to Craigslist the night before the sale, and then again the next morning. You might need two different email addresses to do this. If selling any of the following hot ticket items, be sure to mention them in your post: furniture, electronics, tools, gardening supplies, craft supplies, and anything unique that might attract buyers. And if applicable, work the multi-family angle too! PRICING – Your best best is to price low and sell a higher volume. If the goal is to get rid of things, why get hung up on the price? Everything should be priced at least 50% or less of the retail price. Example: If you could buy it new at the discount store for $10, price it at $5 and take $3 for it. DVD’s are usually $1 and CD’s are 50 cents. (You can put these items in a bin.) Clothes are typically sold for $1 or less. NEGOTIATIONS – Haggling is part of the fun, so be ready for it! Think about the least you’d take for each item in advance, and price it a little higher to allow for negotiation. DISPLAY – People generally won’t dig through boxes, so set everything out on tables. You can borrow folding tables from neighbors, or even use sawhorses with a sheet of plywood across the top. 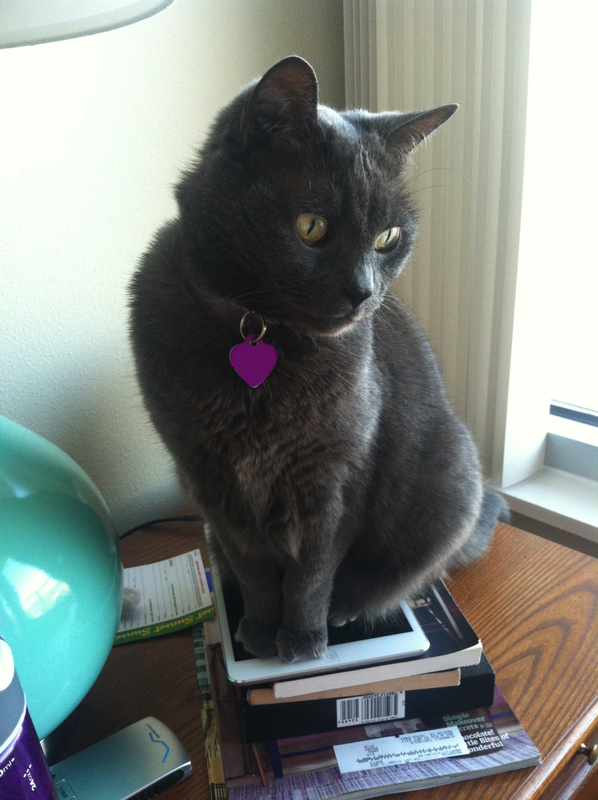 Any elevated flat surface will work. Also, make sure you’ve individually labeled larger items with the price. For smaller items, you can group them — have a $1 table, a $3 table, and so on. CASH – Expect to see a lot of $20 bills fresh from the ATM. In order to make change, get $50 in 1’s and $100 in 5’s and 10’s. Remember to do this the day before! FILL-A-BAGGIE – Don’t bother pricing things for less than 25 cents. Instead, put all of those items on a table with a box of small zip-top bags. Folks can then fill up a bag with any items from the table and pay a set price. DEAL KILLERS – Don’t say, “Well, I paid X amount for it.” It doesn’t help your cause. LEFTOVERS – At the end of the day you can either load all the leftovers into your car and donate them to the nearest charity, or post an ad for “Free Garage Sale Leftovers” on Craigslist. If you post an ad, you’ll want to take it down as soon as everything is gone (which will be shockingly fast) in order to avoid having folks knock on your door for the rest of the day! BONUS TIP: Rain can be good or bad. If all the other garage sales close up shop, yours might become the hottest game in town! If there’s a chance of rain, be prepared to move items into the garage or cover with tarps. Thanks to Jillan for these great garage sale tips. If your house is feeling a little overcrowded, maybe it’s time to move up? Give me a call to talk about your options! Because the plants are from here (native) or do well here (adapted), they require fewer additional resources. This means less need for pesticides, fertilizing, etc. They’ll thrive with a lot less effort, and I’m all for that! They require less supplemental watering once established. And xeric (desert) plants require almost none! With our growing population, the need to conserve is very real, and using native and adapted plants allows us save our water for drinking. They are both beautiful AND tough. These plants are used to hot temperatures, and won’t die on the first 100 degree day. You can still have pretty flowering plants without having to baby them constantly. Native plants support the local ecosystem. Birds and insects need food and shelter, and planting native varieties helps to ensure the health and survival of our native species. As a bonus for providing food and habitat, you’ll get to watch them! They cost less in the long run. Choosing plants appropriate for your local conditions is a win-win. In Austin, the Grow Green Guide is a great plant list for our area. Most of these plants are readily available at home improvement stores or local nurseries. 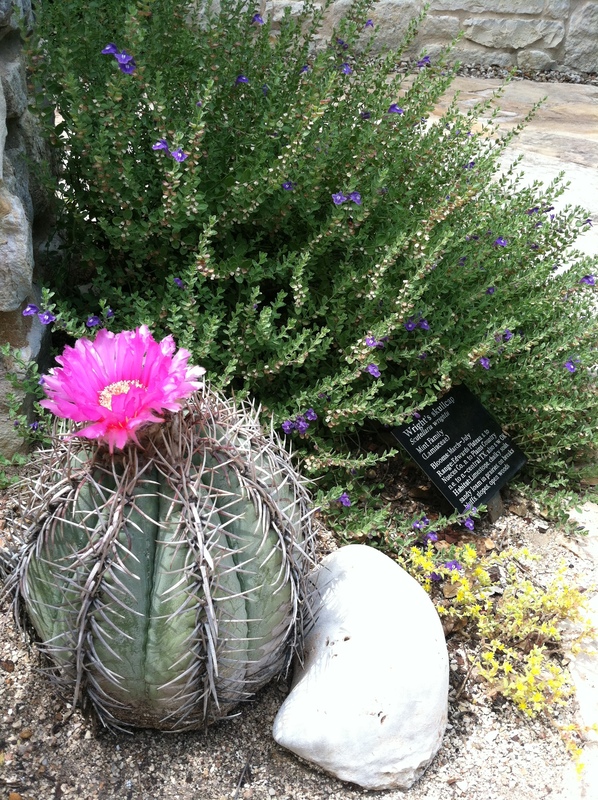 To purchase some of the more unique varieties of native plants, check out the plant sale at the Ladybird Johnson Wildflower Center. They hold the sale twice a year — in April and October. Pro tip: Get there early if you can, be prepared to park a gazillion miles away, and bring a small wagon/garden cart if you have one. And the chocolate daisies always sell out fast! Sprucing up the house to sell and working on curb appeal? That’s a perfect time to use native and adapted plants. They’ll look great with less effort, leaving you more time for packing. If you need plant suggestions, give me a call and I’ll share my list of favorites! She’s cute, sure, but terrible at packing! Whether you’ve recently moved like us, or have changed your phone number, it’s important to remember your furry family members. Having an up-to-date ID tag could make the difference in keeping them safe and getting them home. And don’t forget about microchips! If your pet’s microchip isn’t registered with current contact information, it’s useless. Take a few minutes to register or update your pet’s microchip information via your veterinarian or one of the online registries. We use the FoundAnimals free microchip registry. All you need is your pet’s microchip number and brand to get started. If you don’t know the brand, you can look it up here, and if you don’t know the number you can ask your Vet to scan it for you. The first few weeks in a new place can be unsettling for our furry friends. On moving day, doors are left open as furniture and boxes are moved in, increasing the chances of your pet accidentally getting out. In the weeks that follow, they are experiencing lots of new sights, sounds, and smells — some of which might scare them into running off. Take a few minutes to protect your pets by updating ID tags and registering their microchips. Need a recommendation for a great veterinarian or mobile groomer? Kitty condos or doggy daycare? I’ve got ya covered – just ask! Earnest money is money paid upfront by the buyer as a show of good faith in their intention to buy the home. When a buyer submits an offer on a house, they will designate an amount of earnest money in the contract — usually 1% of the purchase price. (Ex: $2500 for a $250,000 home.) Once the terms of the offer are agreed upon and the contract signed by all parties and executed (put in full effect by one of the agents), the earnest check must be delivered to the title company within 2 business days. The title company will cash the check right away and hold the funds in an escrow account. When the sale closes, the earnest money will be applied to the downpayment. In the event that the buyer terminates the sale, the earnest money MAY be refunded. There are many protections for the buyer built into the contract, and in most cases the earnest money will be refunded. However, it is important to remember that everything in a real estate transaction is time sensitive (time is of the essence) and if you don’t follow the rules, you will forfeit your earnest money. Your agent knows the rules and will manage the timeline so that you know when important deadlines are approaching. Earnest money is sometimes confused with option money, though they serve very different functions. Learn more about the option fee here. This is how earnest money works in Texas real estate. Though the concept is similar across the board, you’ll want to consult your local real estate expert in other areas. Thinking about buying or selling in Austin and have a question on how everything works? Call me and we’ll get you up to speed! When buying a house, most folks use a common financing strategy: downpayment + mortgage loan, and then pay a monthly note for the next 15-30 years. A good lender will help you determine what you can afford, as well as the best financing options available to you. To get started, you’ll need to do two things — choose a lender and get pre-qualfied for a loan. With just a little information submitted either online or by phone, a lender can run your credit and give you a good idea of how much you’ll likely get approved for, what interest rate you qualify for, etc. This process is called pre-qualification. In our current market, being pre-qualified is a must. Most sellers require a pre-qualification letter from your lender, which we’ll submit along with your offer. This letter serves as proof of your financial ability to buy the home. It gives the seller confidence that you will be able to close on the home — the most important part of the transaction for them! Once pre-qualified, your lender may give you a maximum purchase price based on your income and debts. Keep in mind that they are not looking at your lifestyle — only you can know for sure how the monthly payment will affect your personal finances. I highly advise you take your personal lifestyle, spending habits, and investment goals in mind when setting a home-buying budget. Related Blog Post: How Much Home Can I Afford? You are welcome to use any lender you choose, though I strongly urge you to go with a local mortgage company or credit union that has an in-house (or at least in-state) underwriting team. Underwriting will be one of the most crucial parts of the process, and where we may run into potential hold ups as you’re trying to close on a home. Big banks are notorious for causing delays due to underwriting issues. I’ve found that my clients who choose to work with a local lender tend to experience fewer problems and delays overall. If you receive lender recommendations from friends & family, be sure to ask specific questions such as why they liked working with them, how things went towards closing, and how problems were handled. There are always issues and that’s okay — what matters is that they are resolved quickly. I’ve worked with many lenders over the years — some great, some not so much. Trust me when I tell you this: choosing your lender is just as important as choosing your Realtor. Your lender will be an important member of your professional team, and you’ll be interacting with them frequently. They will also work directly with your Realtor and the title company. As for interest rates, you can apply with several lenders and compare rates if you prefer. It has been my experience that most mortgage bankers have access to a variety of loan programs and rates, and can use points to provide you with rate options if that’s important to you. For example, Mark Townsend at Cornerstone looks at the rates from over 20 banks/investors daily and will choose the best offering for you on the day you lock your rate. Which brings up an important point — interest rates fluctuate daily, and the rate you are quoted today may be higher or lower tomorrow. Your interest rate is not guaranteed until you lock it in. Rate locks typically last for 30 days, or longer if you want to pay a little more. If you are buying close to the top of your lender-approved range, keep in mind that an interest rate increase could pose a last-minute problem by throwing off your debt-to-income ratio. A good lender will help you choose the right time to lock you rate, ensuring your ability to close on the home. Remember that your lender is a key player in your home-buying process, and should be a trusted partner — just like your Realtor. If you have questions about financing or need a recommendation for a great lender, give me a call. I have several lenders I trust to take good care of you, all of whom stay on top of the mortgage industry trends, regulations, and rates (which change daily). Most importantly, they really care about getting their clients the best financing for their individual situation. I’m happy to send you my list or make an email introduction for you! Perhaps you’re thinking about selling and have looked up your home’s value on Zillow, Trulia, or any of the numerous sites that offer an online home value estimate. Or maybe you’re considering the “For Sale By Owner” route and are using their suggested comps. Before you go any further, I’m here to help you understand a crucial piece of information: Online home values in Texas are not based on actual sales data. Since Texas does not have a real estate transfer tax, that valuation method is out. However, the tax appraised value is public information available via online tax records. Therefore many of the online estimates are based on tax appraised value, which is typically lower than current market value. Note: Tax appraised value and market value are not the same. Homeowners want the tax appraised value to be below market, and will often protest to keep it as low as possible. Lower tax appraised value = less property taxes paid! You can see why accuracy is of concern when it comes to online home value estimates. If you’re thinking of selling and want to get an idea of your home’s current market value, your best bet is to contact me. With just a small amount of information (address, condition, upgrades, etc. ), I can put together a “comparative market analysis” or CMA. I’ll pull current comparable homes (comps) with accurate sold data from the Austin/Central Texas MLS, and compare these homes with yours to determine the value. This information will give us a true understanding of your home’s market value — which is far more value than an online estimate.